Pattaya Floating Market has long been a major attraction in Pattaya, and is the largest such destination in Eastern Thailand. Visitors flock to its quaint surrounds to enjoy shopping at 100 outlets, cultural activities, traditional shows and dining on local foodstuffs. 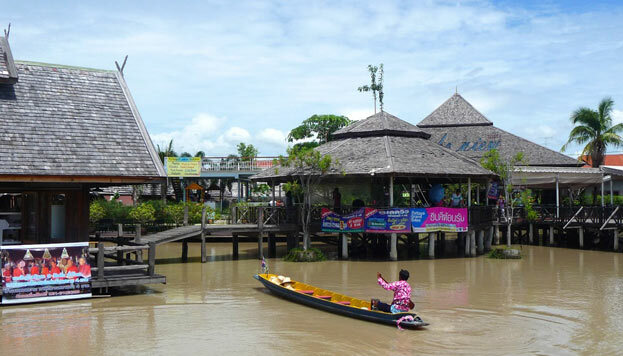 Pattaya Floating Market is established under the concept of presenting cultures and traditions from the four diverse regions of Thailand: Northern, Southern, Central, and North-eastern. The concept covers how people from these four regions live, what their main activities are and what the main products from there are. When visiting the market, you can tour unique ethnic products, such as wooden sculptures, silverware, textiles, paper handicrafts, sailing boat models, wooden handmade bags, Thai silks an more. Not surprisingly, the place is great for buying souvenirs or gifts for friends and family back home. The jetties for the shops, which are housed in typical traditional Thai-style buildings, are all connected with bridged, and hence very accessible for pedestrians. Bistros and cafés offer a wide range of typical regional Thai dishes. For those needing a little pampering, you can even get a traditional Thai massages, head or foot massage, facial, etc. Not to mention that there is a sea boxing show at 13:00 and 15.00, and dance on the floating stage show at 14:00 and 16:30 daily. A boat ride with a small boat for four people is usually 200 baht. It’s worth it because the boat passes through the canal along islands with gorgeous vegetation, shops and floating traders. During the trip there is short break on the banks of a second lake. Truly eye-catching are the small floating kitchens. With a lot of skill these vendors navigate, cook, serve drinks, offer snacks and make small meals all at once! 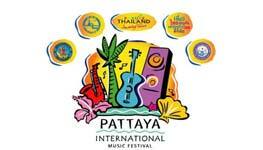 Entry fee is Baht 200 and the market is open 08:00 to 20:00 daily, with shops open 09:00 to 19:00. The market is not to far out of town and visitors can reach the market by buss, taxi or baht bus (song thaew).